Entravision EDGE | What’s on the Minds of Persuadable Voters in this Election Cycle? What’s on the Minds of Persuadable Voters in this Election Cycle? With the national election less than two months away, it seems that this election cycle is filled with new polls from new polling organizations with many different results. Gone are the days when only a handful of outlets polled for voting preference and the results were released with less frequency. Now, not only is there an abundance of polling at the national level, but there are also releases for every state, and on a frequent basis. So what’s on the minds of Hispanic voters? Since January, Entravision and Univision have been releasing results of polls conducted in collaboration with Media Predict, a company that creates custom surveys. From the Univision/Entravision/Media Predict partnership, there have been 12 polls released since January, among both Hispanic and non-Hispanic persuadable voters. 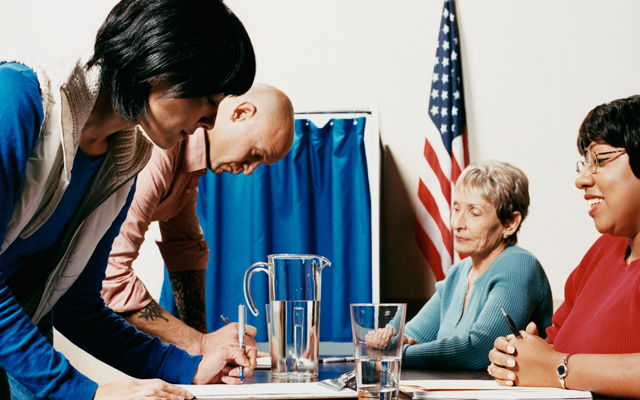 A persuadable voter, as defined in this survey, is someone who previously cast a ballot for a candidate of a party other than the party in which the voter is registered. Jobs and economy are the most important issues to them. Currently 52% of Hispanic persuadable voters and 44% of non-Hispanic persuadable voters selected that as a top issue. After the economy and jobs is health care (34% for Hispanics, 40% for non-Hispanics). After that, the important issues between them diverge, but only a bit. National security, education and taxes follow, in that order, among Hispanics. Among non-Hispanics, national security, followed by taxes and education, round out the top five. While education is important for 32% of Hispanics, it’s important for only 24% of non-Hispanics. Health care is important for 34% of Hispanics, but 40% of non-Hispanics. Favorability ratings for presidential candidates differed between the two groups. Democrat Hillary Clinton has a favorability rating of 57% among Hispanic persuadable voters. Donald Trump, on the other hand, has a favorability rating of 29% among Hispanic persuadable voters. Among non-Hispanics, the figures are 39% for Hillary Clinton and 44% for Donald Trump. According to these surveys, which have been pretty stable over the past 8 months, candidates need to prove their bonafides in job creation, health care and national security. From the point of view of persuadable voters, the candidate who excels in these issues is going to get votes from people who are willing to cross party lines to vote their conscience.